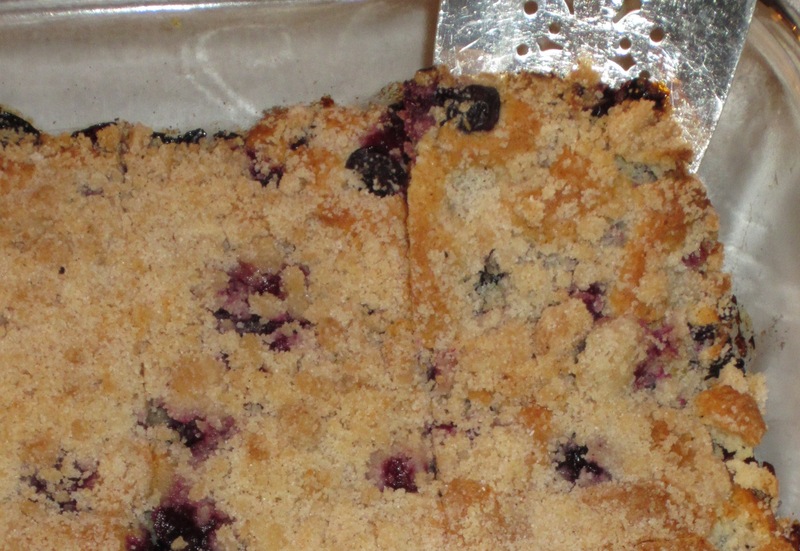 Blueberry Coffee Cake for your morning coffee! It’s easy to make and I LOVE the crumb topping. Great with a hot cup of coffee or tea with family and friends. I typically double this recipe for a larger coffee cake. Preheat oven to 375 degrees. Rinse and drain the blueberries. Combine 3/4 cup sugar, 2 1/2 teaspoons baking powder, 1/2 teaspoon salt and 1/2 teaspoon cinnamon in a bowl and mix well. Add 1/4 cup soft butter, egg and mix. Add 1/2 cups milk and mix well. Stir in 2 cups of flour. The batter will resemble thick pancake batter. You may have to finish mixing by hand. 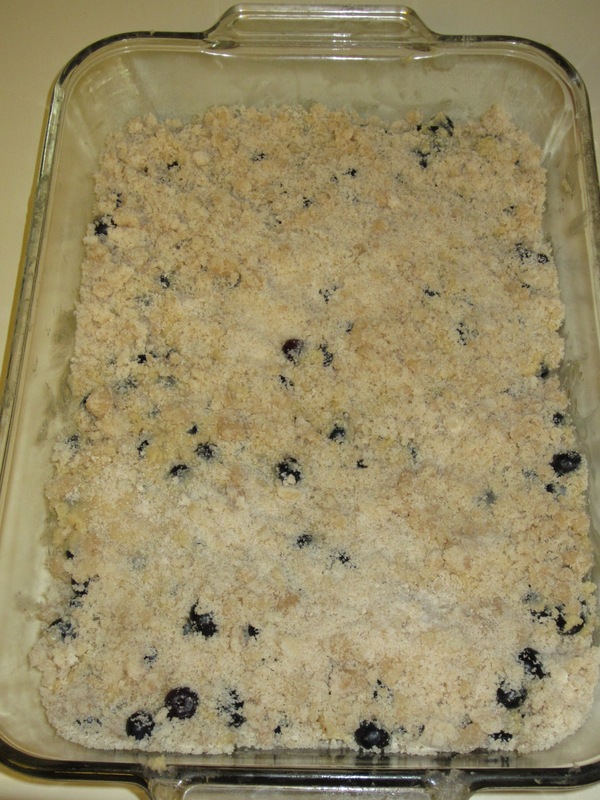 Add the blueberries and gently mix in. 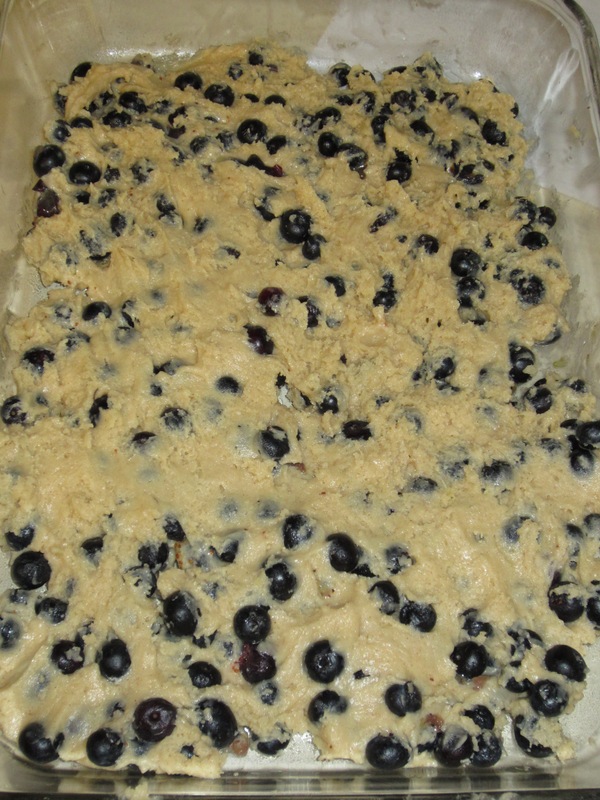 Grease and flour pans (9″ square pan or two loaf pans). Pour batter into pans, about 1/2 full. Mix topping. Crumble evenly on top of batter. Bake for 45 minutes. If not brown on the top, bake a bit longer, checking every 3 to 4 minutes. 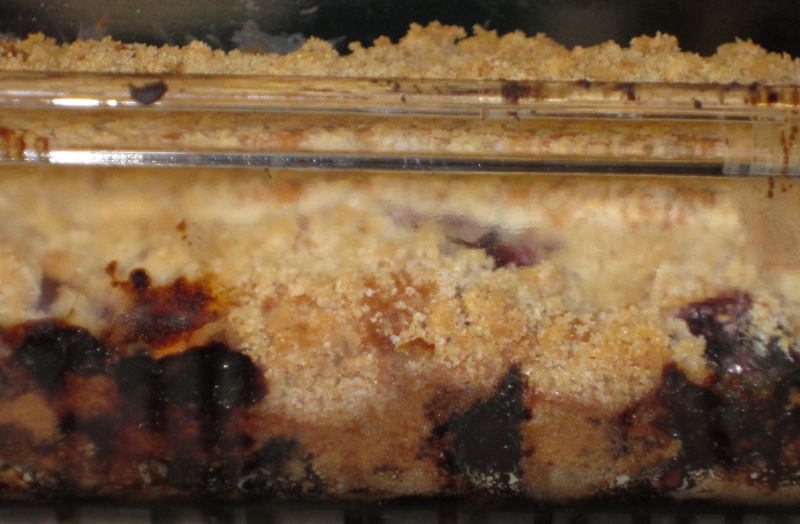 Set the coffee cake on a rack to cool and enjoy.